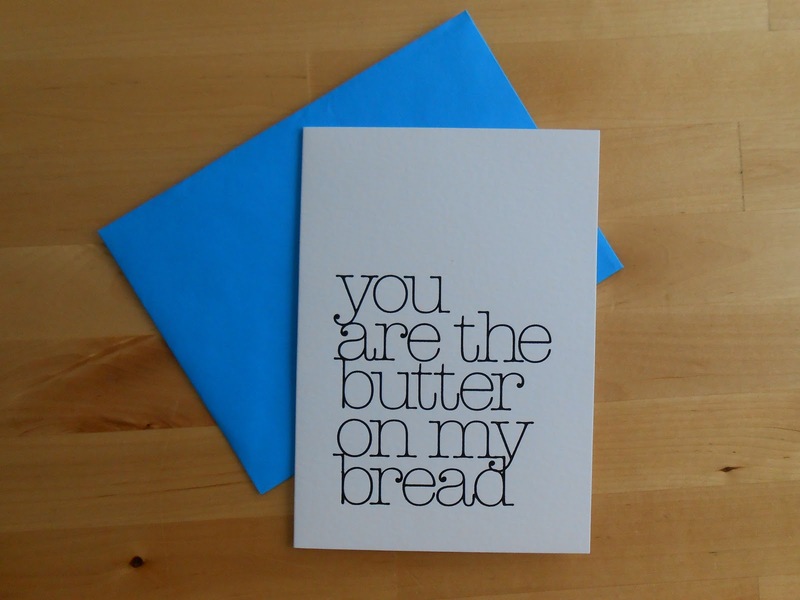 My husband regularly likes to ridicule my fondness for butter over margarine and other substitutes - hmmm, fresh bread with butter and salt, nommmmmmm - so this was the most perfect birthday card for him. Happy birthday, my love. 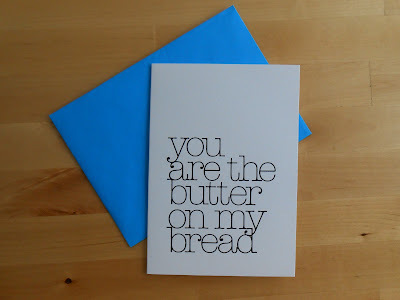 You mean the butter world to me and so much more. I didn't manage to finish my me-made present for him in time. Alas. Soon, though. Hopefully. Fingers crossed. Happy sewing and have a good week, friends!